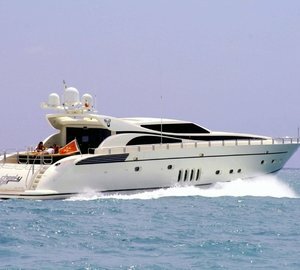 Luxury Motor Yacht CHEEKY TIGER is a 34m Leopard Arno launched in 2005. 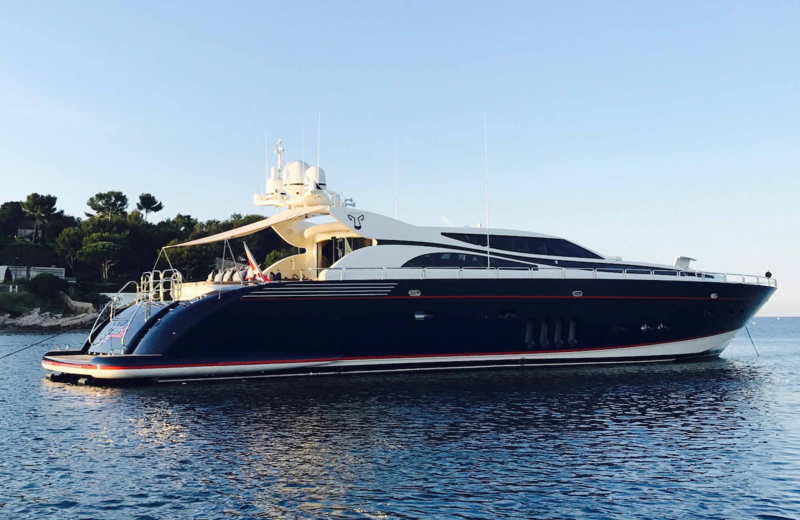 Her owner has spent over EUR 1.5 million on an extensive upgrade and refit in 2015 and she looks magnificent. 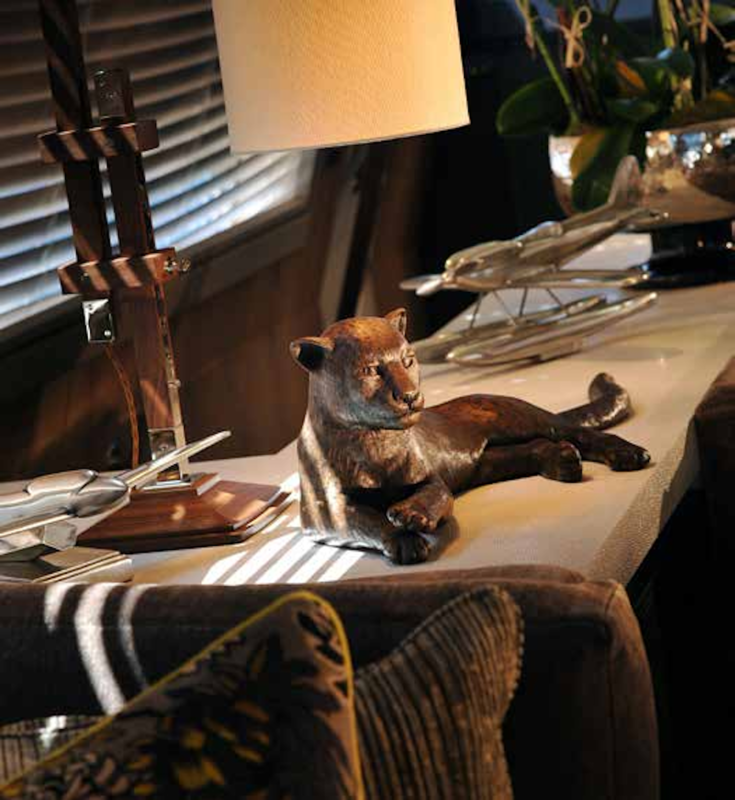 CHEEKY TIGER is an open style Leopard with a modern and charismatic style created by world-famous interior designer, Tara Bernard of Target Living. 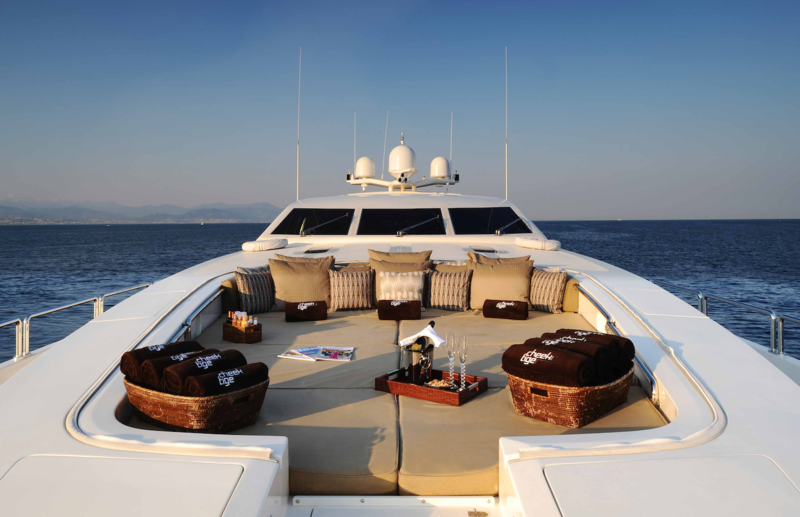 This French Riviera charter yacht comfortably accommodates 8 guests in 4 cabins. 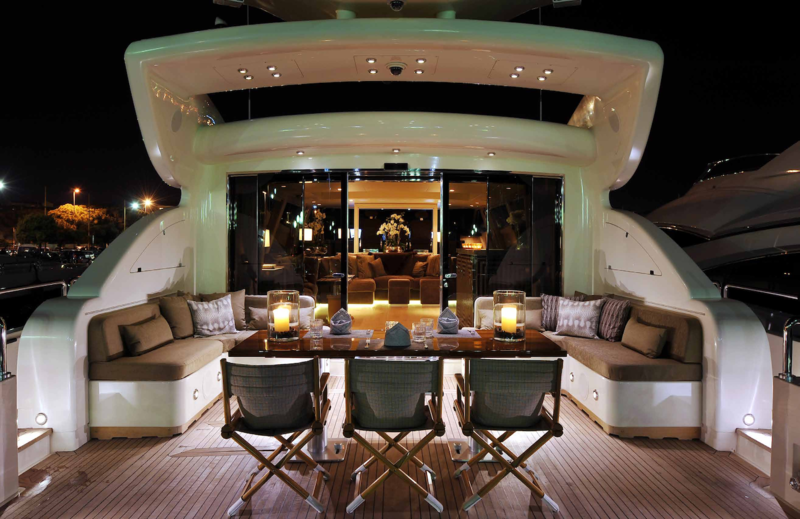 Her master cabin is luscious and generous stretching the full beam of the yacht. 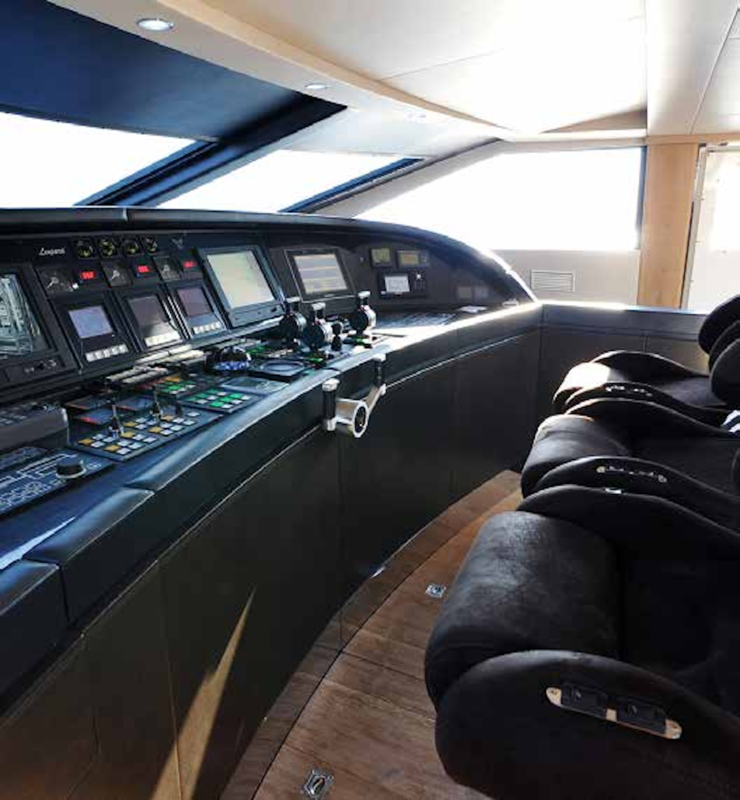 Large portholes on each side immerse the cabin with natural light and her stretched ceiling in the master creates a wonderful sense of space. 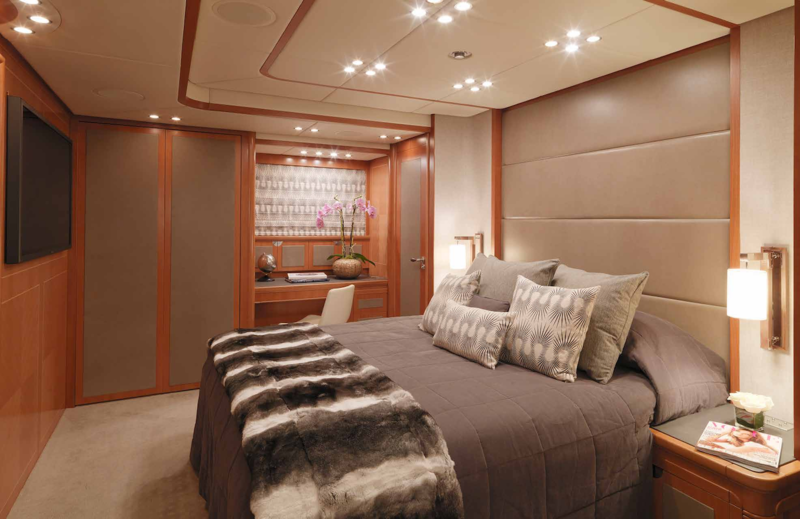 Both the master and VIP cabins offer king-sized beds and a beautiful finish with panels in rich leather. 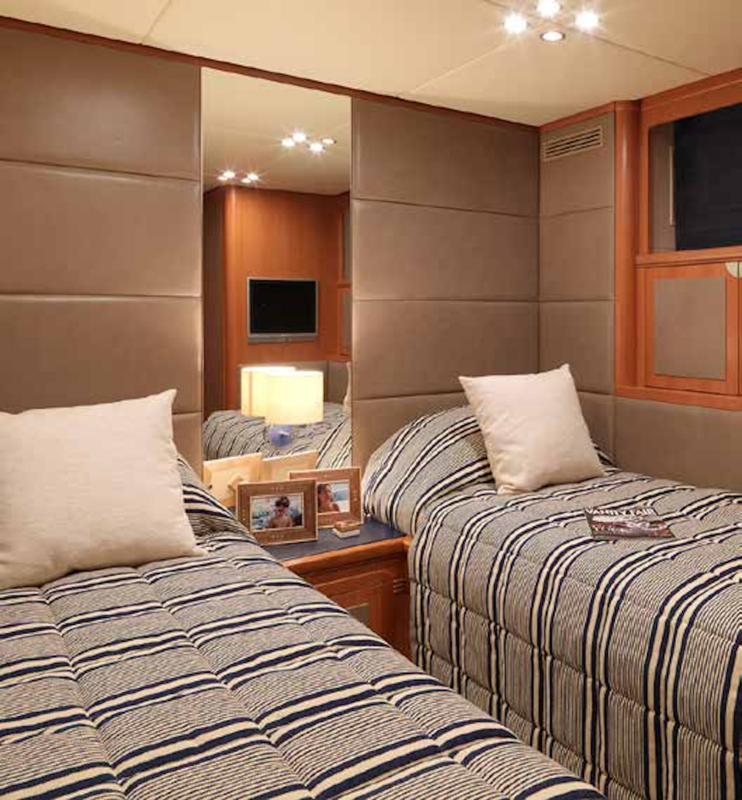 An interesting feature in the accommodation onboard the Leopard CHEEKY TIGER is the entertainment room which can be converted into an extra double cabin to provide a 5th bedroom. 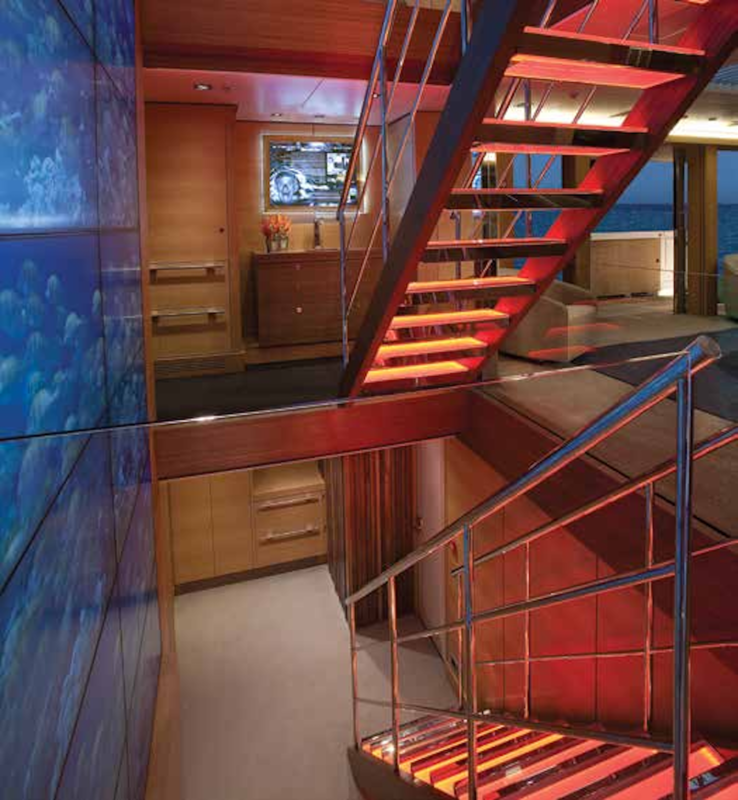 Alternatively, this room can be privatised as an addition to the VIP cabin via a spiral staircase which can be sealed off to private a large and unique VIP suite. 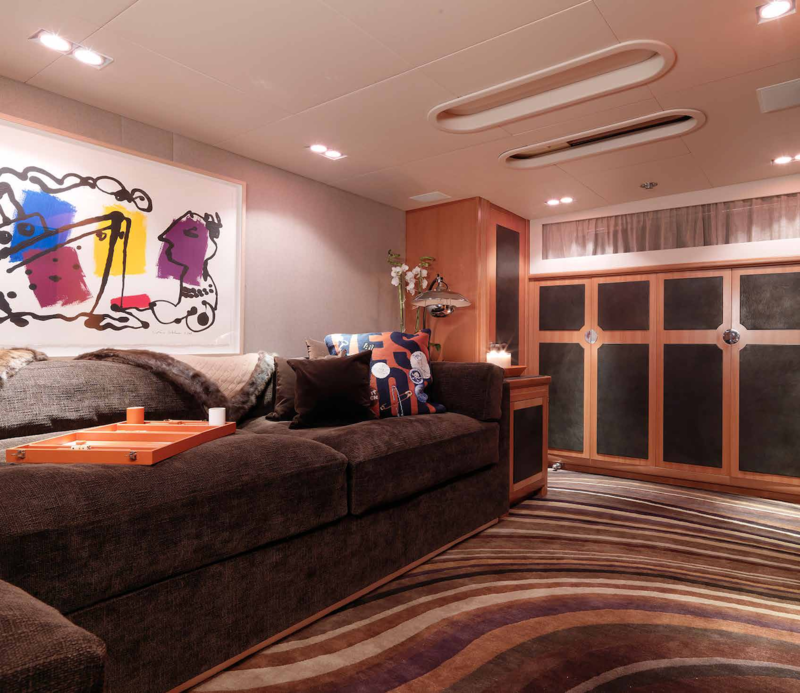 The entertainment room has been finished to the same high quality as the rest of the accommodation with rich cinnabar leather and plush textiles to compliment the carpets and original artwork by Parisian artist Jean-Paul van Lith. 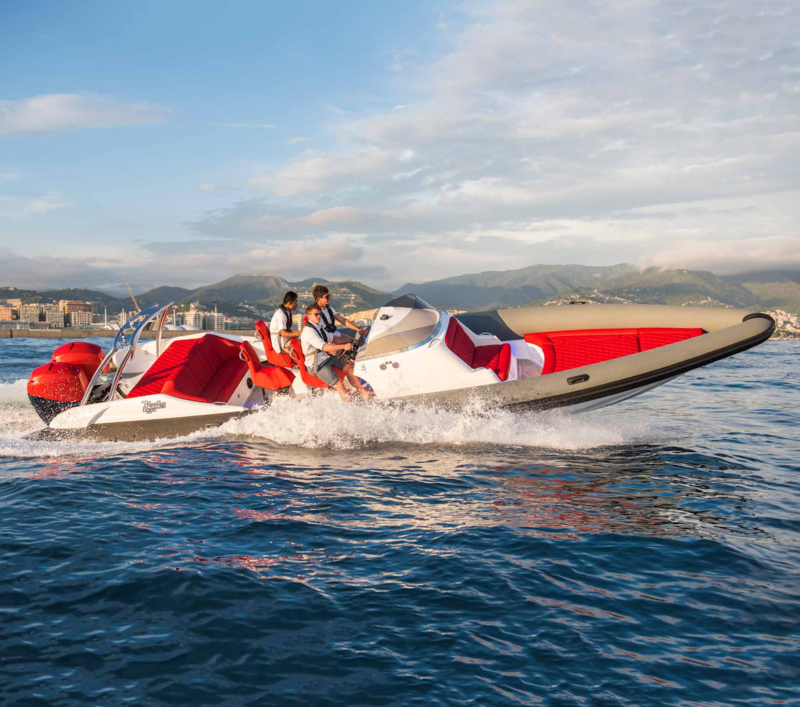 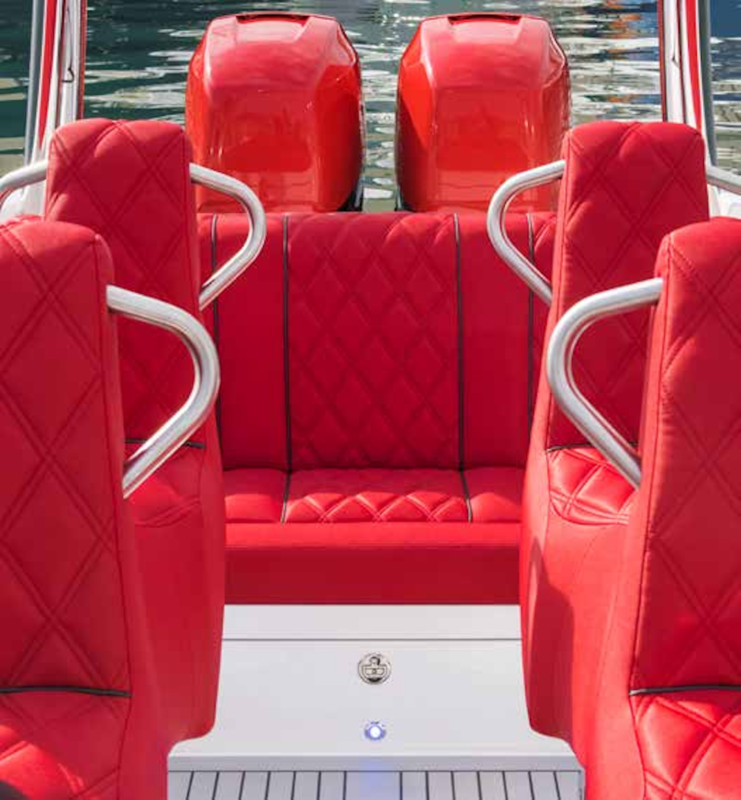 With an array of water sports equipment on offer for the more active guest, Cheeky Tiger is truly a luxuriously appointed charter yacht using a wonderful combination of colours and fabrics to create a unique and beautifully appointed yacht designed using the finest of materials. 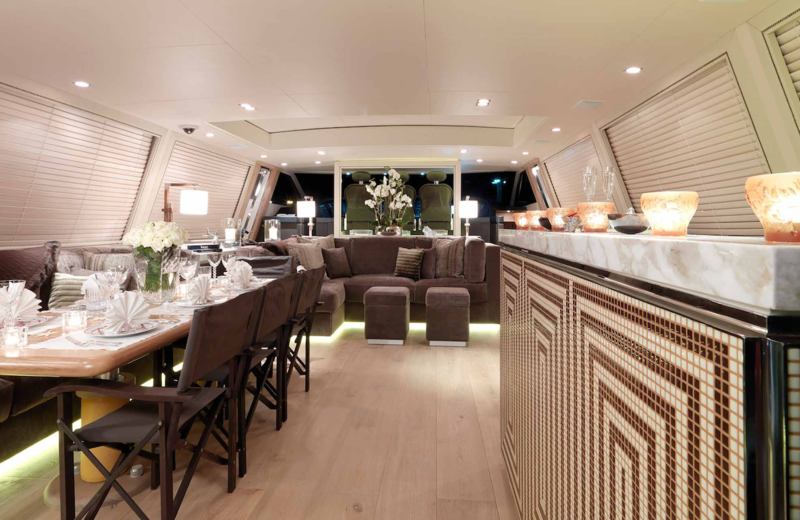 Cheeky Tiger is equipped with glassware from Baccarat, China from Hermes and cutlery from Christofle along with luxury linens and towels to offer the ultimate experience. 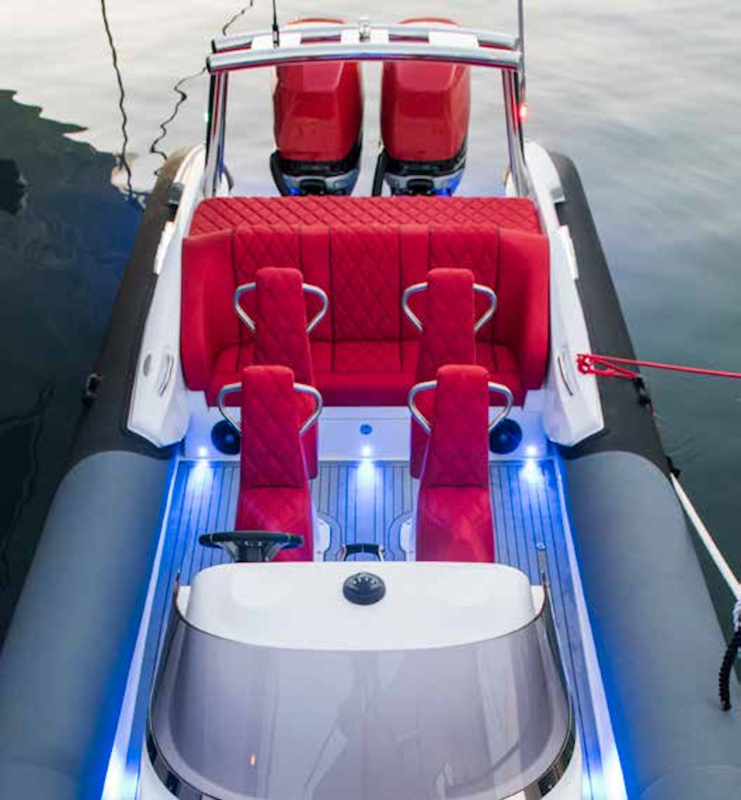 Whilst the accommodation on CHEEKY TIGER is outstanding, this is also complemented by her range of audio-visual facilities, great water toys and a fantastic professional crew. 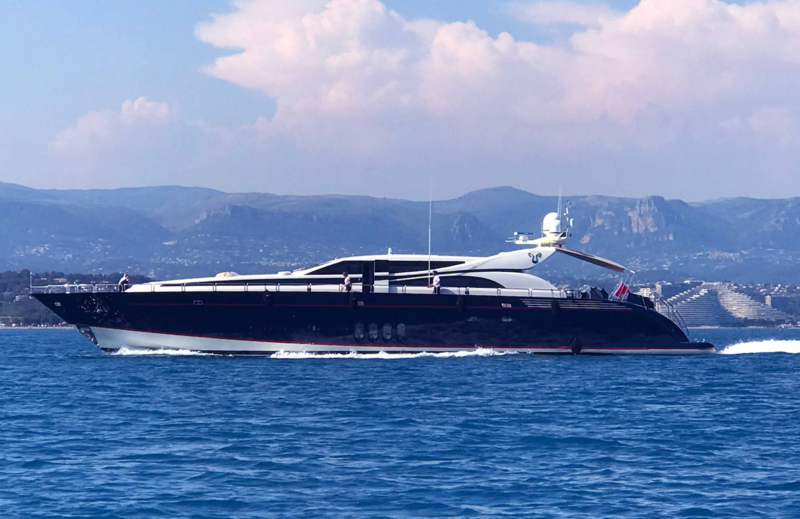 This luxury Leopard motor yacht is based in the South of France and is looking forward to accepting charters in the Mediterranean. 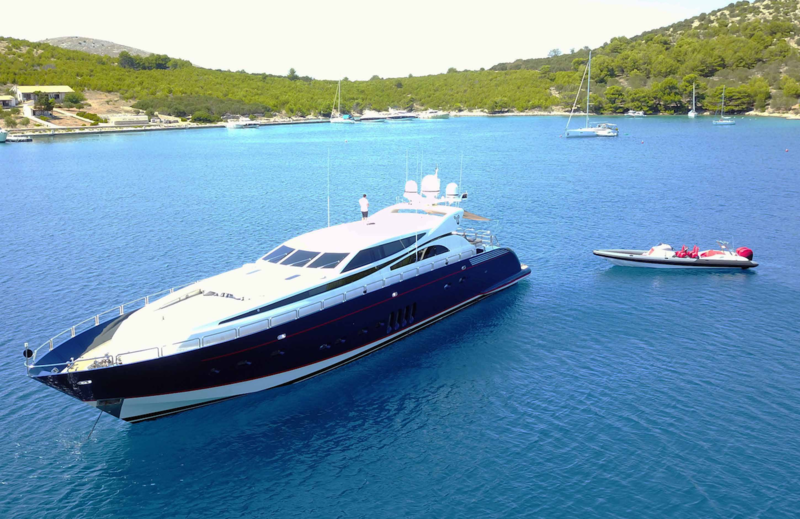 Motor Yacht CHEEKY TIGER offers generous accommodation for 8 guests in 4 cabins. 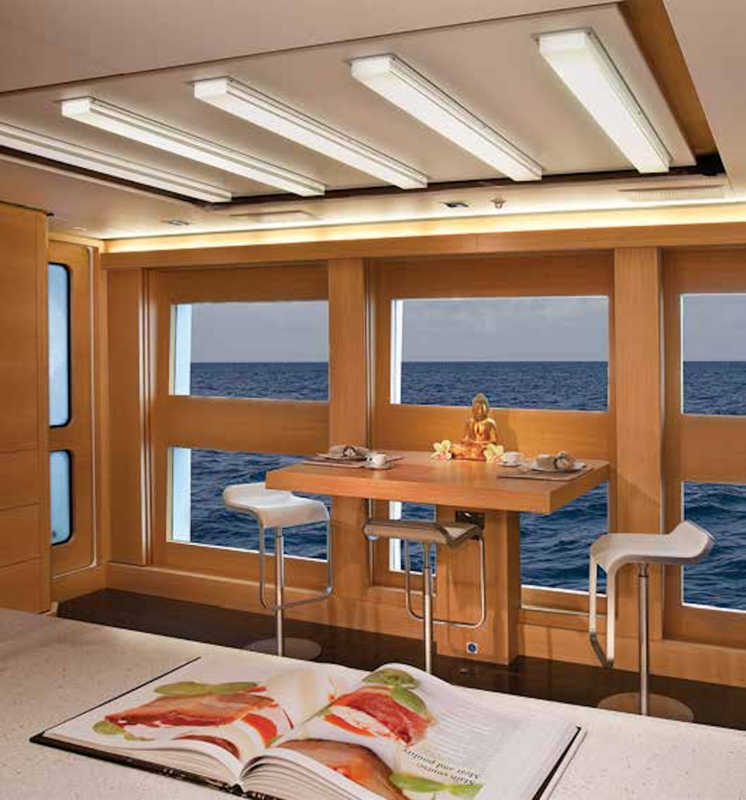 The large and spacious master is full beam and has a king-sized bed. 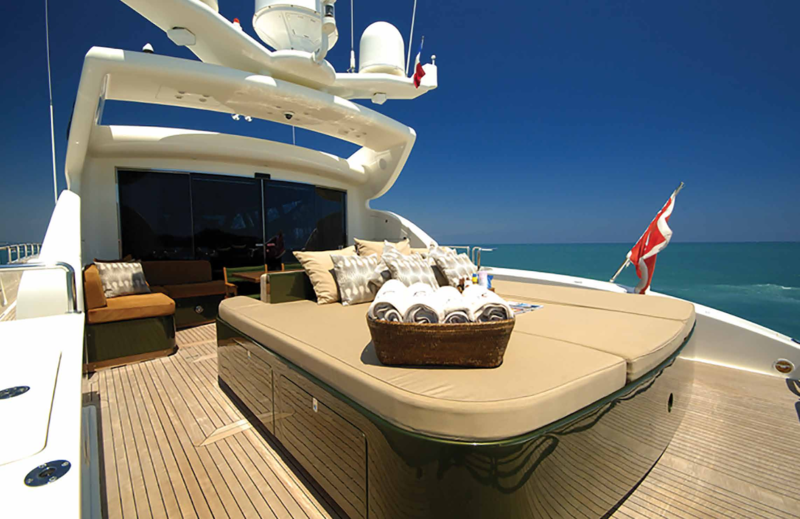 The VIP is also furnished with a king-sized bed. 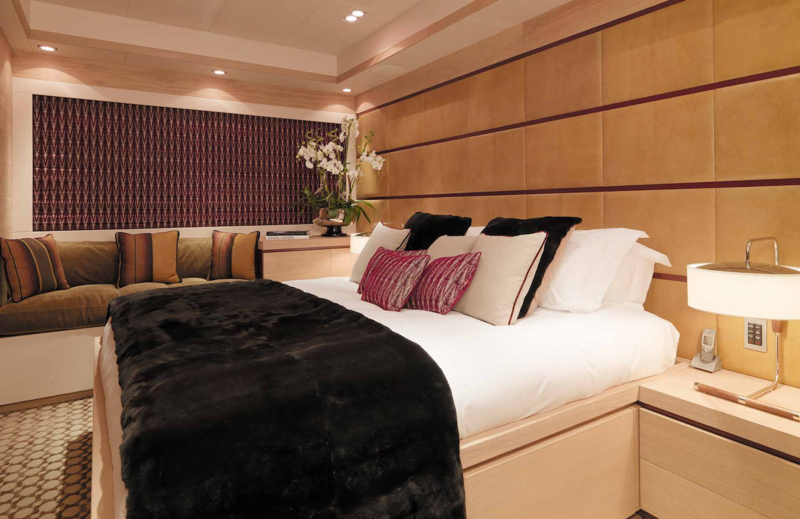 Amidships there are two identical twin cabins both with two single beds and an extra Pullman berth. 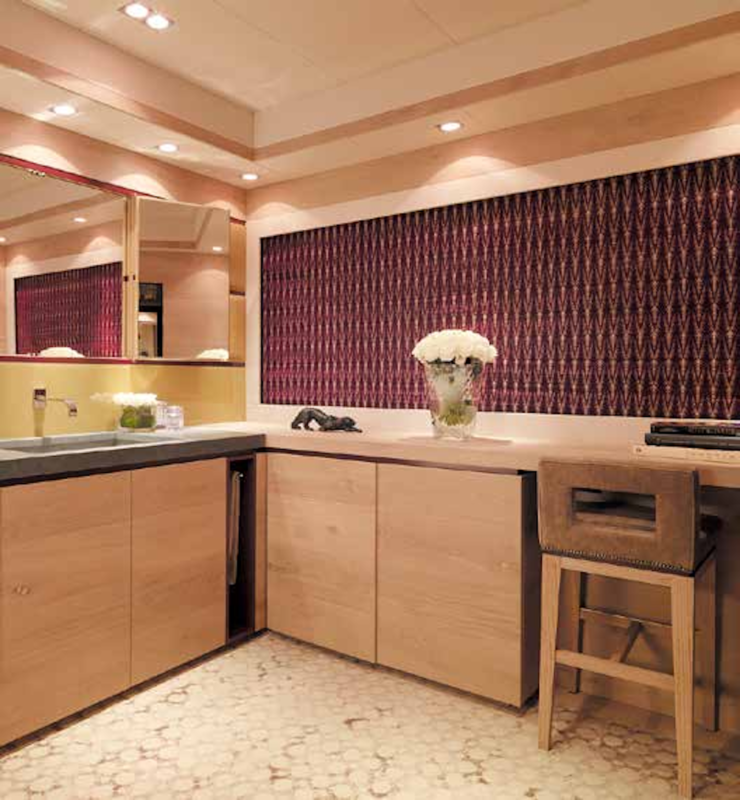 All cabins have full access to audio-visual and communications equipment and private ensuite bathrooms. 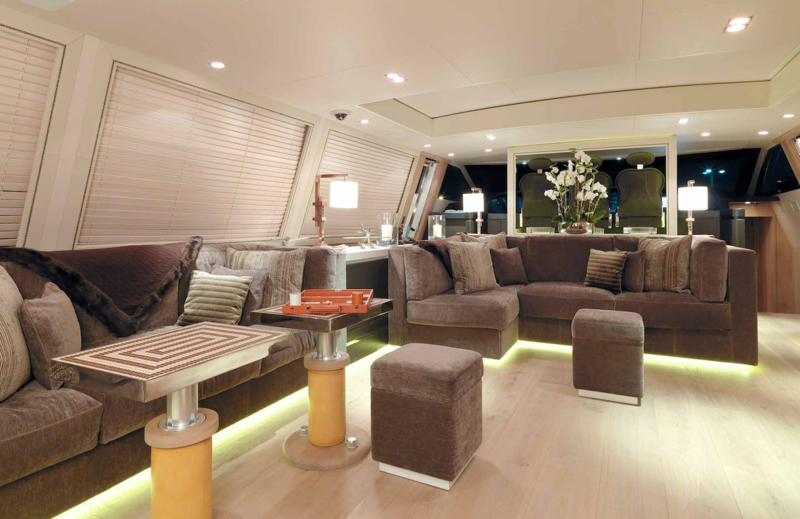 The TV/entertainment room can also be converted into a double cabin if required. 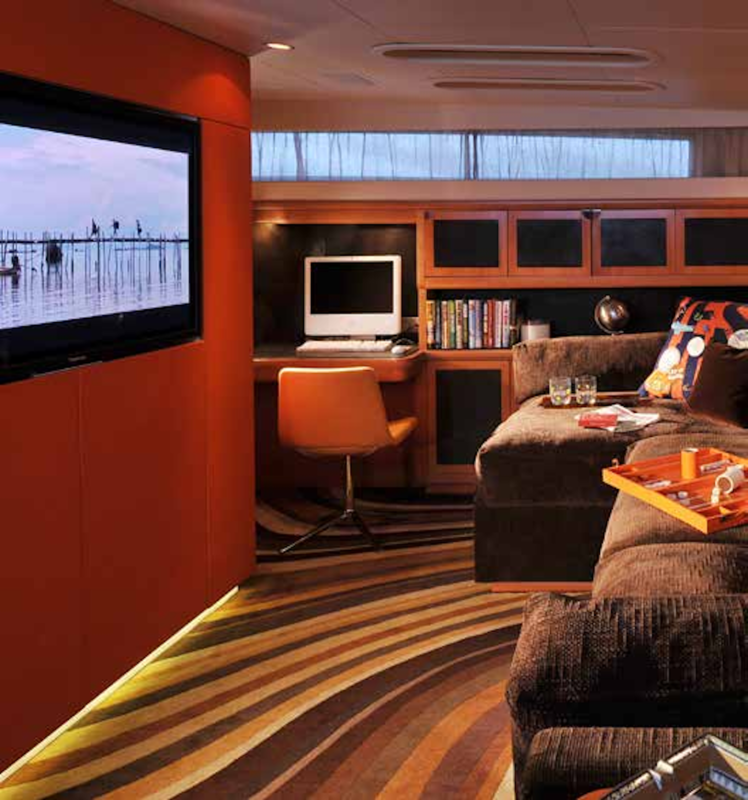 The TV room has access to the VIP cabin so it can also be sealed off for private access creating a unique and extended suite.